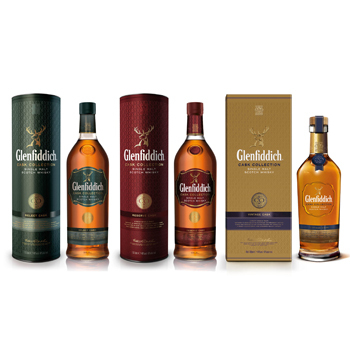 Glenfiddich has launched The Cask Collection, its first no-age-statement range of single malts, into global travel retail this month; a range the company is calling its “most innovative launch of the year”. Created using Glenfiddich’s solera vat technique pioneered for its 15-year-old whisky, the Cask Collection consists of three expressions: Select Cask, Reserve Cask and Vintage Cask, all of which are bottled at 40% abv. Fifteen years on from the creation of its first solera vat in 1998, Glenfiddich has built three additional oak vats especially for the Cask Collection, each of which is never less than half full and is regularly replenished with matured whisky for marrying for several weeks. Each of the permanent additions to Glenfiddich’s travel retail offering has a unique flavour and style, designed to “appeal to the varied preferences of single malt drinkers around the world”.